Imagine that a brilliant idea for a business-changing project strikes. You have carefully examined its value, realize its potential, and you’re determined to bring it to life. Then reality hits: a lack of budget, support, time, or resources, you name it. As a result, your innovative idea never sees the light of day. Sound familiar? If the answer is Yes, this e-book will be a real game-changer! 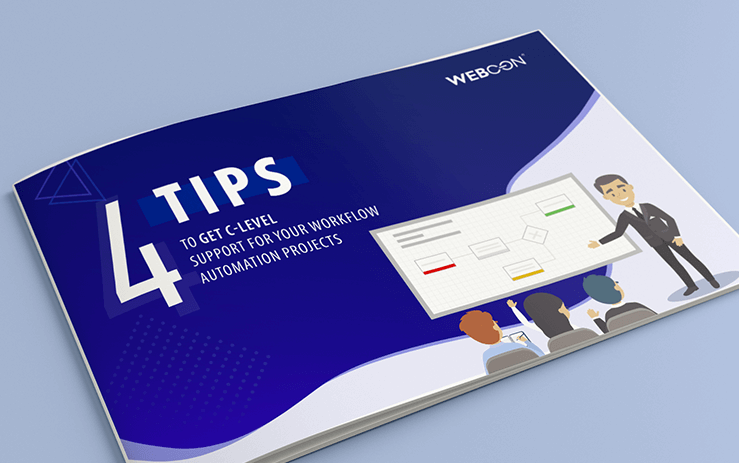 Learn these 4 proven tips to maximize your chances for a green light from C-level management for your workflow automation projects.